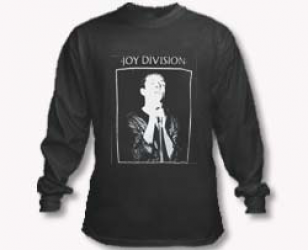 Long sleeve tee with boxed band member print in a large design filling upentire front of tee. 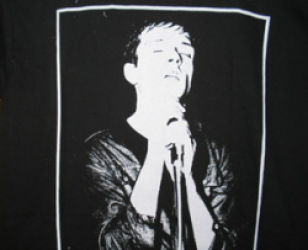 Singing passionately holding standing mic clad in a jacketin this black and white design. Text for band name printed on top.